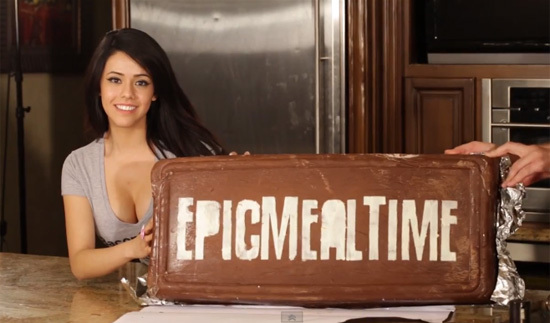 EpicMealTime believes that this is the biggest chocolate bar in the entire internet! Over 300 chocolate bars plus bacons! This ain't your regular corner store candy bar. We're dealing with 100 pounds of chocolate!